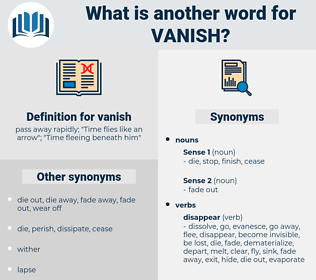 What is another word for vanish? pass away rapidly; " Time flies like an arrow"; " Time fleeing beneath him"
took it on the lam. 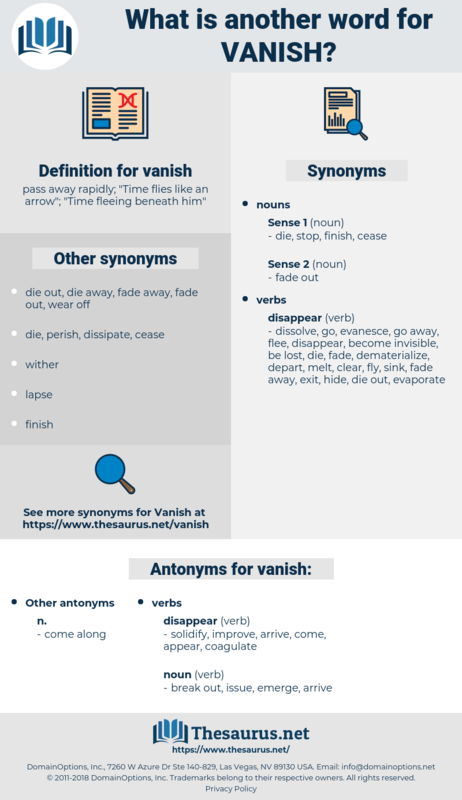 fails, dissipate, eliminate, cease, abolish, erase. solidify, improve, arrive, come, appear, coagulate. He told himself that another living shape would vanish in its turn, and it would be for nothing then that it had been so passionately desired. Steele bowed, turned on his heel, and strode out to vanish in the dark.